We are a product lab focused on improving how citizens connect with first responders during emergencies. CiviGuard was originally an exponential technologies research project at Singularity University. During the Summer of 2009, our team at SU was given a single overarching directive: whatever you work on has to positively impact one billion people in ten years. We debated a number of the world's big problems and then narrowed down on disaster response. Disasters displace or kill millions of people every year. Before, during and after disasters, resources are scarce, chaos is commonplace and communication is inconsistent. We saw a number of exponentially growing technology areas that could dramatically change that equation in favor of the citizens affected by these disasters. Mobile bandwidth was growing, Smartphones were proliferating, Sensors were getting smarter, Materials Science was finally delivering production ready breakthroughs. Geo-stationary airships strategically placed around high-risk zones, capable of carrying large payloads, including drones and relief packs. The USAF currently uses these airships to provide persistent "eyes in the sky" over conflict zones. Swap the optics with payloads and you have a potential solution. Medium-sized drones capable of precision dropping food and medicare to stricken areas. We also explored disposable drones. Lightweight airframes and basic propulsion capable of dropping their payload and then "soft-landing", after which they could be serviced or disposed. A medicare triage kit with NFC bracelets, allowing first responders to rapidly geotag injured citizens, establish severity status and relay back the information to HQ so that airlifts can be smartly provisioned. The medicare kit contained a number of miniaturized sensor tech: portable ultra-sound scanners, EKGs and Pulse-Ox sensors. An intelligent Disaster Response System optimized for smartphones, adhoc networking and multiple levels of redundancy. The DRS platform enabled incident commanders to identify precise hotspots and understand where key resources were being administered. Most importantly, DRS enabled first responders and citizens on the ground to report back their status, needs and progress. Over the short-term horizon, focus was essentially, and the team focused on realizing DRS before all the other components as it would have the biggest impact based on the technology adoption curves in 2009. And that's how CiviGuard was formed. An organization focused on building and demonstrating the advantages of a bi-directional, real-time platform for disaster response. CiviGuard's platform was deployed in pilot mode for the town of Manor, Texas, a popular Citizen 2.0 community. 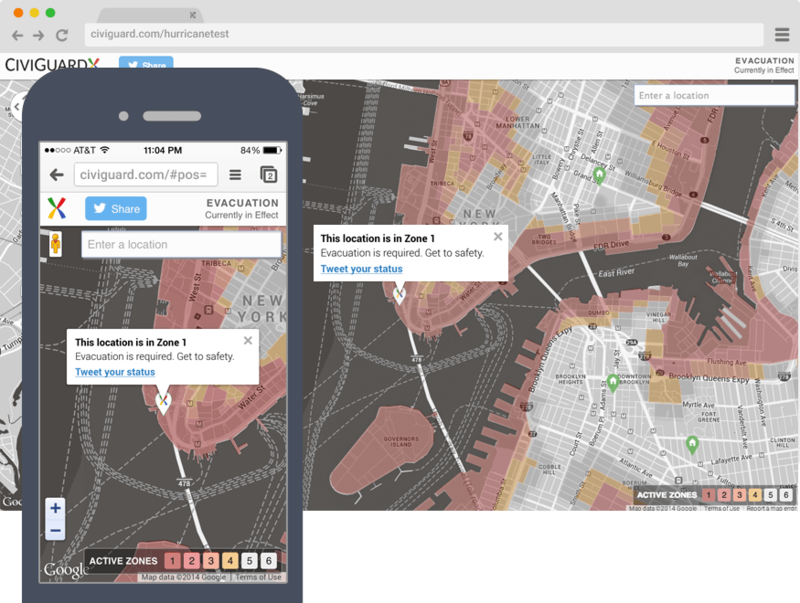 We also activated CiviGuard for Hurricane's Irene and Sandy, assisting 60,000+ New Yorkers out of danger by informing them of which evacuation zones they were in and what shelters were close by. CiviGuard was voted to the '100 Brilliant Companies' list by Entrepreneur Magazine in 2011. It won the GovFresh 'Emergency Management App of the Year' in 2011. We are a a Gartner 'Cool Vendor'. We've been featured at TechCrunch Disrupt, Where 2.0, Gov 2.0 and by Inc. Magazine. HTML5 location allowed all our apps to zero-in on where a person was located. The denser the urban environ, the stronger the accuracy got. This capability enabled users to get information based on where they were versus simply getting a generic mass notification. For the first time, people in an emergency not only knew what was happening, but also what their options were. In the above CiviGuard Evacuation Zone Locator app for NYC, a user's location is identified and then they are immediately told to evacuate this area because it happens to be under a mandatory evacuation order by the City. In the context of a Hurricane, this is the most relevant piece of information: am I in danger here? Tap "Tweet your status" to share your status via the Twitter app installed on your device. The Zone Locator app passes your last known location coordinates as part of the message, which enables friends and first responders to locate you if you need help. Tap a shelter icon for location details and a link to directions. The “Get directions” link launches the Google Maps app with route options. 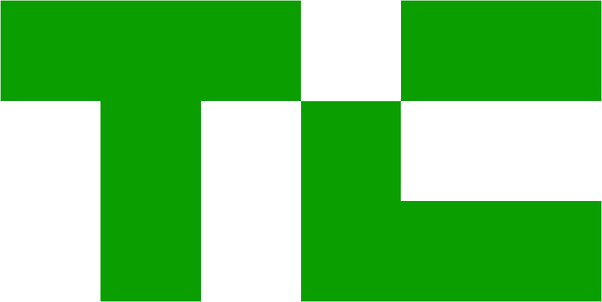 © 2014 CiviGuard. All rights reserved.